Jack Butala: Mike Sherwood is a Real Estate investor, broker, property manager, he’s been involved in Real Estate since 2007 buying his first duplex at 22, he currently owns 45 units and manages over 175 units primarily focused on multi-family homes in Buffalo. Hi Mike! Mike: Hey, how is it going guys? Jack Butala: Good, I’ve got Jill on the line, I hope you can hear her okay. Mike: Yeah, I can hear her, she’s a little soft spoken, but I can hear her. Jack Butala: That’ll change in a minute, trust me. Jill DeWit: I was waiting for that. Do you like Mike or Michael? Mike: It doesn’t matter. The only time I’m usually called Michael is when I’m getting yelled at by my wife. Jill DeWit: I will call you Mike. Jack Butala: Did you get yelled at for doing a podcast at 7 o’clock on Tuesday? Mike: Well, my wife has become very understanding about Real Estate and having a business and working, so she’s really kind of cool about it. When we first started dating she was like, “Oh, that’s kind of cool, but it takes up a lot of time,” and she didn’t like it, but she kind of understands it now. Jack Butala: We always end up talking about people’s spouses on these shows. Mike: I think the reason why that happens is because you kind of need to be on the same page with a lot of this stuff, and if you’re not, then you run into issues, so my wife understands it’s something for our long term retirement, so she gets it. 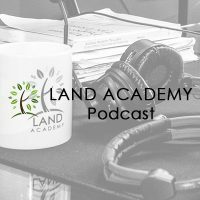 Jack Butala: We have a pretty large member base now of people where we all together buy land and sell land and sell it on terms and generate a pretty good income stream, and one of our members recently said that his wife didn’t buy into this. He’s one of our most successful members by the way, when he started, he said his wife was so skeptical that he had to do a real quick flip, just for like a thousand bucks I think, or 7 or 800 bucks he made on it, just to convince her that this really can work. Jack Butala: Happens to all of us. I would say the worse thing that can happen if you walk into a casino is that you win in the first three minutes. Then it’s like you’re just prolonging the death. Jill DeWit: We have to back up and record all this Steven. Jack Butala: This is actually the real call now, because Mike and I had the pre-call earlier. Jill DeWit: Oh, did you really? Jack Butala: While you were selling stuff on the phone. Jill DeWit: I was selling stuff. Jack Butala: Nice work by the way. Jack Butala: In fact, if it’s okay with you guys, I’m going to read the bio that I should’ve read right when I called everyone. Jack Butala: Michael Sherwood is a Real Estate investor, broker, property manager; he’s been involved in Real Estate since 2007, buying his first duplex at 22. He currently owns 45 units and manages over 175 units, primarily focused on multi-family homes in the Buffalo, New York area. Mike was exposed to his grandparents rental duplex of 25 years, and they frequently told him “This is how you make money in your sleep.” Mike, if that doesn’t say it all about rental properties, you know, if my grandmother can do it, that kind of thing. Mike: That’s absolutely true. My grandparents got me started on this when I was young, they had a live in tenant for over 20 years, paid the same rent amount every month, great guy, but that helped fund my college, that’s what paid for my college. Jack Butala: That’s a great story. As I told you on the pre-call, I was excited to have you on the show today because you’re in Buffalo, New York, or the Buffalo area I should say, and in the main education program that we expose our beginning investors to, I use Upstate New York and Western New York as a great example to buy super inexpensive, unwanted rural vacant land. I wanted to hear it from you first hand, do you see really unbelievable land deals? Mike: I’ve seen some, we’re not involved in a bunch of land deals, but mineral rights and other things are kind of occurring in Upstate New York, so there’s a lot of land and that’s what people are buying it for. They’re buying it and making money on it, and the Buffalo area is definitely rebounding, because people are starting to pick up land, and snap up land because they’re looking at it, they’re saying, “Hey, the city of Buffalo is starting to revitalize, you got the [inaudible 00:05:55] in there, you got lot of people throwing around a lot of money, and the real estate is really starting to rebound.” This year and the last couple years were the first years that we’ve had where investment Real Estate has gone multiple offers above list price. That never happened in 5 years. Jack Butala: That hasn’t happened in my lifetime there, I don’t think. Maybe when I was a little kid, but … I’m way older than you. Jack Butala: So, what’s your perfect acquisition? What do you really look for? Mike: I actually have a Real Estate partner as well, his name is Charles Bromwell, and he primarily is the day to day operations guy, and he’s the one looking at the numbers and stuff like that. Primarily what we focus on is trying to get as many doors under one roof, because then our transaction cost tends to be a little lower because we’re spreading them out over multiple units, we can negotiate a little bit better favorable terms because it’s commercial property. There’s a lot of investors out there who aren’t as experienced in dealing in the commercial realm, so that’s primarily where we try to focus. We try to get six and above, we have a couple five units … It’s kind of tough, one to four is kind of running the middle [inaudible 00:07:30] what the market says what it’s worth, versus the commercial that’s kind of based on what you’re getting in for the income, so we tend to focus on the bigger places. Jack Butala: It’s a whole different financing situation too, right, at 5 plus it’s commercial loan. Jack Butala: For the record, I think you’re absolutely doing this right. I had many properties long before I bought my primary residence and I felt the same way about signing those papers. I’m like, “Man, this is just…” It’s kind of like financing a car. There’s something that’s just not right about it, for some reason. Jack Butala: All right, there’s tons of guys out there doing this, trying to do what you’re doing, what makes you successful? Mike: I would say, ideally what’s made me successful is that I am actually a software programmer. I program computers, I do a lot of programming, coming at it from a methodical programming world, and using systems along with Real Estate has definitely made it much more streamlined. I focus primarily on getting call systems in place, getting property management software in place, getting Google drive, Google documents, collaboration tools, CRM’s. The idea is that we have all these systems, and we have ways to link them up, and we still use the basic Excel spreadsheets as well, back in the envelope when we have to come up with a quick number. I’ve built dashboards and stuff like that that look at the analytics of sales and stuff like that for Real Estate. I tend to look at a little bit of everything, and then I have a good partner. Honestly, that’s also what’s made me very successful is that he offsets the strengths that I have with some of the strengths of his own. He’s kind of like a chief operating officer, he keeps all the balls in the air at all times, and everything running on all [inaudible 00:10:18]. Jack Butala: That’s great. I’ve written several blogs centered around this topic. The worst mistake you can make on your first transaction of buying Real Estate … There’s so many things you have to do before that to get organized. I don’t think it needs to take 3 years or anything like that, but I think you have to get your head straight, get a plan laid out, and we preach sending out direct mail to try to get the best deals and acquisitions, and you have to be looking at 20 or 30 properties that aren’t even listed for sale before you start making decisions about the best ones to buy. It sounds like your approach is similar. Mike: Yes, absolutely. Actually I think more than ever, I think direct mail, and that’s something that we have had some experience with, but I think direct mail more than ever is more and more important, because there’s so much competition or deals that are in ML for example. If it’s on the ML, anybody can get it, you’re not beating anybody to that deal. The best deals are gone before they ever come on the market. Jack Butala: I wrote a blog on that exact topic. If you’re looking at buying a piece of property as an investment that’s on a multiple listing, it’s too late, stop it, that’s not how you do it. Jack Butala: What are you working on right now, anything good? Mike: Right now, we actually just rehabbed a 4-unit in Lackawanna. Lackawanna is a suburb of Buffalo, and we have a couple properties there. What is interesting about it is there was one person that was living in there, all the other units were vacant. It just needed a lot of updates, there were some mechanical issues as far as the plumbing and stuff like that, so it was kind of a gut job for all the other units. The one unit that actually was occupied, was occupied by a hoarder, so it was interesting. Jill DeWit: Wow. Anything they could find on the sidewalk. Jack Butala: I’m from Detroit, and we live in Scottsdale now. I haven’t heard anyone talk about a frozen pipe or any of those issues with Real Estate in decades. My hat’s off to you because you guys have to deal with all that stuff all the time. Mike: All the time, yeah, we definitely deal with that a lot. What’s actually also super interesting about this deal is that we got into it really cheap, I think we bought that 4-unit around 50k. Jack Butala: That’s like our prices, Jill. Mike: Yeah, we put about 20k into it, and we refinanced it for about 120. Jack Butala: Oh my gosh, so you walked out with some money. Mike: Oh yeah. Some money, and then some. Jack Butala: Wow, so that is your niche. That was my next question, like what’s your niche? Mike: Well, that’s kind of been something we’ve been experimenting with. One of the drivers and the engines of our company is property management, so we manage for other investors. One of the things we’re thinking about is why don’t we buy a bunch of these destroyed homes, put a little fix in them, fix everything up, clean it up, and then sell it with property management in place? Because then, we know the property better than anybody and that’s a selling point. 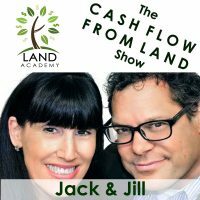 Jack Butala: There are so many ways to go at making money in Real Estate and I love it, that’s one I have not heard. Hey, tell me you saved, after you refi’d it, you went and spent the money on another deal, right? Not your primary residence. Mike: Of course. Actually, Charlie my partner, he has an LMA, essentially what it is is a line of credit, and one month LIBOR plus 400 base points, that’s around 425. So, what we’ve been doing is we go out, acquire Real Estate, do a deal and then we pay it back.